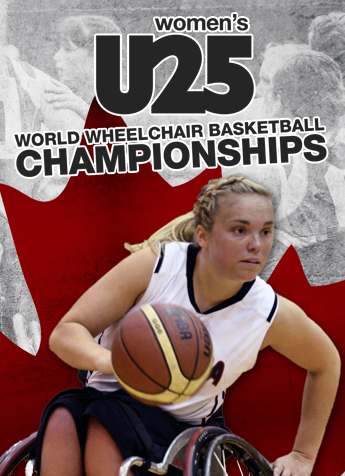 (Beijing, China) The Canadian Women’s U25 National Wheelchair Basketball Team fell 75-57 to host China at the 2015 Women’s U25 World Championship on Wednesday in Beijing. Canada set the tone in the opening quarter and outscored China 22-14 after 10 minutes of play. China responded in the second frame and took the 36-31 lead into halftime. China carried over the momentum in the second half and the Canadians struggled to contain Tian Jiao Lei, who delivered a game-high 35 points for the Chinese team. Despite the defeat, Canada rebounded with improved play following an opening day loss to Great Britain. 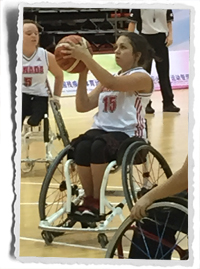 “We did a much better job in transition against China and we were able to stretch the floor effectively,” said Team Canada player Erica Gavel. The Quebec trio of Maude Jacques, Élodie Tessier and Rosalie Lalonde were the offensive catalysts for the Canadian side. Jacques and Tessier each produced a team-best 15 points, while Lalonde added 13 points. Legal, Alta. native Arinn Young also shot 5-for-6 (83.3 per cent) from two-point range and tallied 12 points. Canada now sits at 0-2 at the world championship and plays its next match against Japan this evening at 10 p.m. ET (10 a.m. local time on July 2 in Beijing). The top four teams in round robin play will advance to the semifinals on July 5, 2015.